Once one of the largest inland ports in Britain, with tramway interchange and an associated industrial complex. Bugsworth Basin, Buxworth, Derbyshire SK23 7NE. 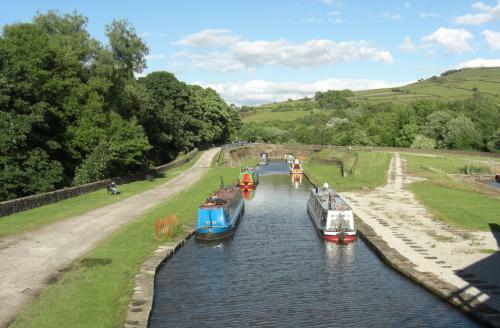 Bugsworth (Buxworth) Basin is a canal basin at the terminus of the Peak Forest Canal and opened in 1796, when the canal was linked with the Peak Forest Tramway. The tramway, which opened in 1796, was constructed to exploit particularly pure limestone found in the sizeable quarries at Dove Holes, some 8 km (5 miles) south east of the site. Limestone was brought down to Bugsworth Basin on a 11.2 km (7 miles) narrow gauge tramway, using gravity, with horses drawing the empty wagons back up to the quarry. 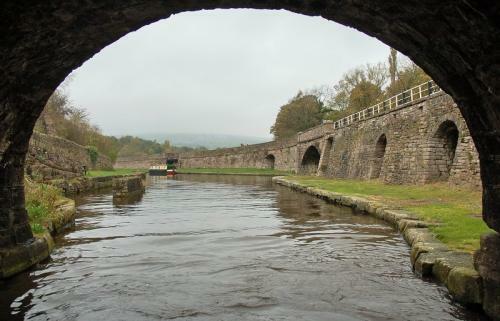 Particular features of the Tramway were the great inclined plane, where a continuous rope was attached to the wagons to assist in braking and in hauling up empties, and the Stodhart Tunnel, thought to be the second oldest railway tunnel in the country. 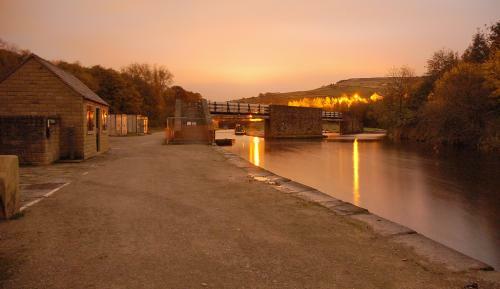 The most important surviving features of the tramway are the elevated tramway branch at Bugsworth Basin, Stodhart Tunnel and the self-acting inclined plane at Chapel-en-le-Frith, known as the Chapel Inclined Plane. 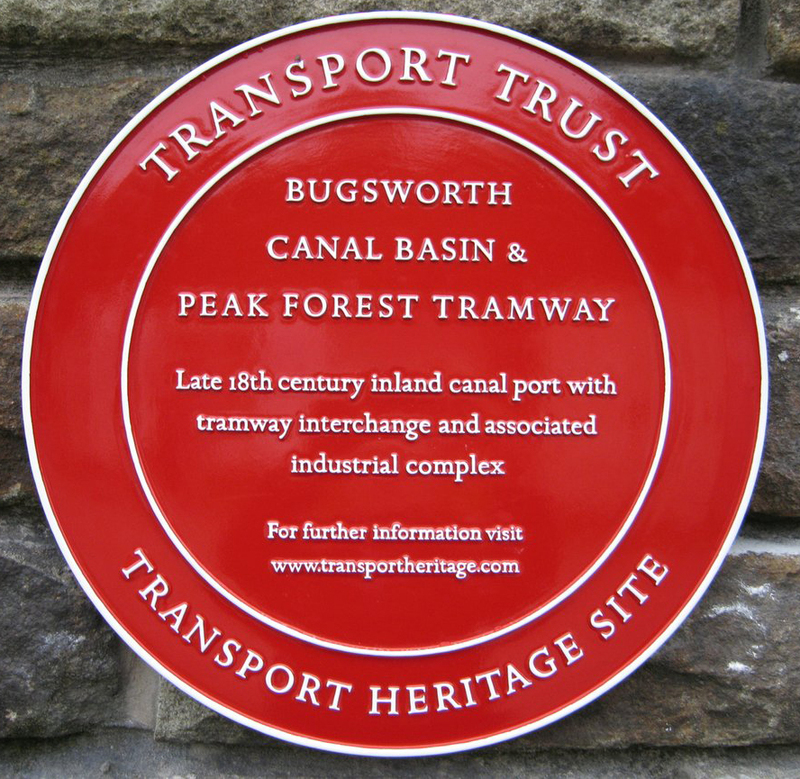 The elevated tramway branch forms part of the Scheduled Ancient Monument of Bugsworth Basin. 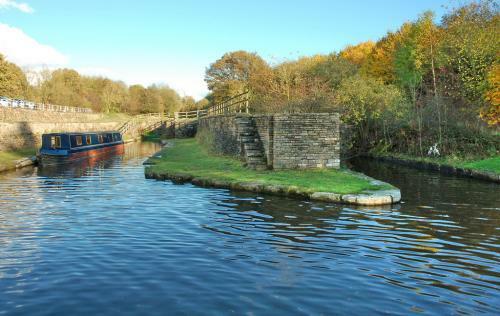 At Bugsworth Basin the limestone was crushed and smelted in kilns before being loaded into boats to transport it to the chemical works of Cheshire. 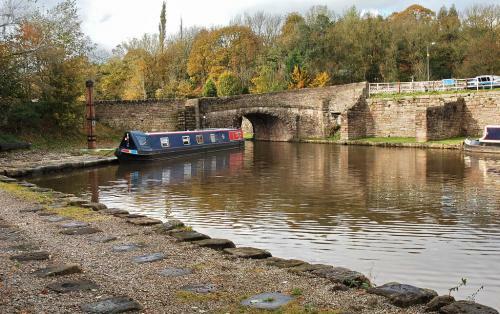 Grit stone from the local Crist and Barrenclough quarries was also transported to the north west for building and industrial use. At its height the Basin was one of the largest and busiest inland ports in the country with approximately 70 boats leaving per day. By road: Off A6, north of junction with A5004, take B6062 eastward to Buxworth. 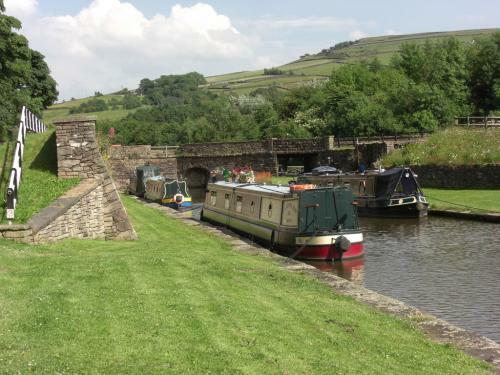 Turn right for Navigation Inn and Bugsworth Basin. Ripley, David, The Peak Forest Tramway, Oakwood Press ASIN: B000ZP1D7E (1989).